A brand new podcast from Night Vale Presents, and the first podcast Joseph Fink and Jeffrey Cranor have made together since Welcome to Night Vale: Start With This, a podcast gone creativity playground designed to put your ideas in motion. Each episode centers around a topic from world building, to opening lines, and even failure. Then they give listeners two short assignments: something to consume and something to create. The best way to start writing is to start writing. Not sure where to begin? Start With This. 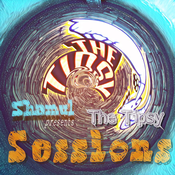 To keep listening to Start With This, subscribe on . There’s natural talent, and then there’s practice. You can only control that last bit. Joseph and Jeffrey talk building habits of creation so that starting projects gets into your muscle memory. Consume: Check out Jonathan Mann’s . Jonathan’s been writing and recording a song a day for over 3,000 days— it’s the ultimate example of flexing the habit of creation. Create: Pick an idea that you’ve had for a while. Take exactly 1 hour to work on it exclusively. This can be one continuous hour, or 30 minutes for two days, or 10 minutes for six days. Then put it out there (written or recorded) on our Membership Community, your website, or shout it to a bird from your porch. Consider this your first try of many at this idea. Join the SWT Membership community to see what other listeners are making: Credits: Jeffrey Cranor (host) & Joseph Fink (host), Julia Melfi (producer), Grant Stewart (editor), Vincent Cacchione (mixer). Rob Wilson (logo). Produced by Night Vale Presents. Three quick announcements: Lee LeBreton will be performing an original, standalone live show at the Largo in LA on April 27, along with new live shows from Alice Isn’t Dead and Welcome to Night Vale’s the Faceless Old Woman. 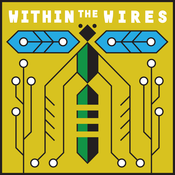 Within the Wires will be at PodX, a new podcast convention from the folks who brought you LeakyCon taking place in Nashville from May 31 to June 2. Learn more and get 10% off your tickets at . Jeffrey Cranor and Joseph Fink are making a brand new podcast called Start With This, a show designed to get you thinking about, talking about, and, most importantly, making art. . Don’t forget – we release four bonus episodes every year on at the $10 tier or higher to listen to all of our bonus episodes. Dictation recording 10 of 10: Office of Michael Witten, June 21, 1961. Letter to Amy Castillo. # Music: Mary Epworth, Written by Jeffrey Cranor and Janina Matthewson. Performed by Lee LeBreton Within the Wires T-Shirts & Posters, Free transcripts, Support this show on Patreon, Support our sponsors, Logo by Rob Wilson, Part of the Night Vale Presents network. Dictation recording 9 of 10: Office of Michael Witten, September 13, 1954. Letters to Alejandra Reagan, Ursula Lindholm, Bernice Jones, and Sarah Chisholm. # Music: Mary Epworth, Written by Jeffrey Cranor and Janina Matthewson. Performed by Lee LeBreton Within the Wires T-Shirts & Posters, Free transcripts, Support this show on Patreon, Support our sponsors, Logo by Rob Wilson, Part of the Night Vale Presents network. NOTE: We will be taking a break the week of Christmas. Episode 9 will return on Jan 1, 2019. Dictation recording 8 of 10: Office of Michael Witten, April 20, 1954. Letters to Bernice Jones and Sima Choudary. # Music: Mary Epworth, Written by Jeffrey Cranor and Janina Matthewson. Performed by Lee LeBreton Within the Wires T-Shirts & Posters, Free transcripts, Support this show on Patreon, Support our sponsors, Logo by Rob Wilson, Part of the Night Vale Presents network.